While some doctor s buggies were built with plain box-type bodies, many had a more elegant shape. Called phaeton types, they had a gracefully curving body and large wheels. Storage compartments below the seat held the physician s bag, medical instruments and supplies. 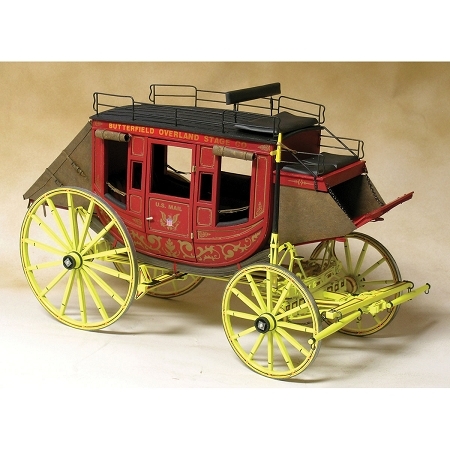 These buggies were lightly constructed for one occupant and drawn by a single horse. 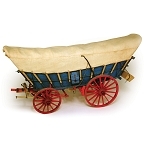 They were fast and could handle terrain that heavier wagons could not. Old-time doctors made house calls night or day, rain or snow. 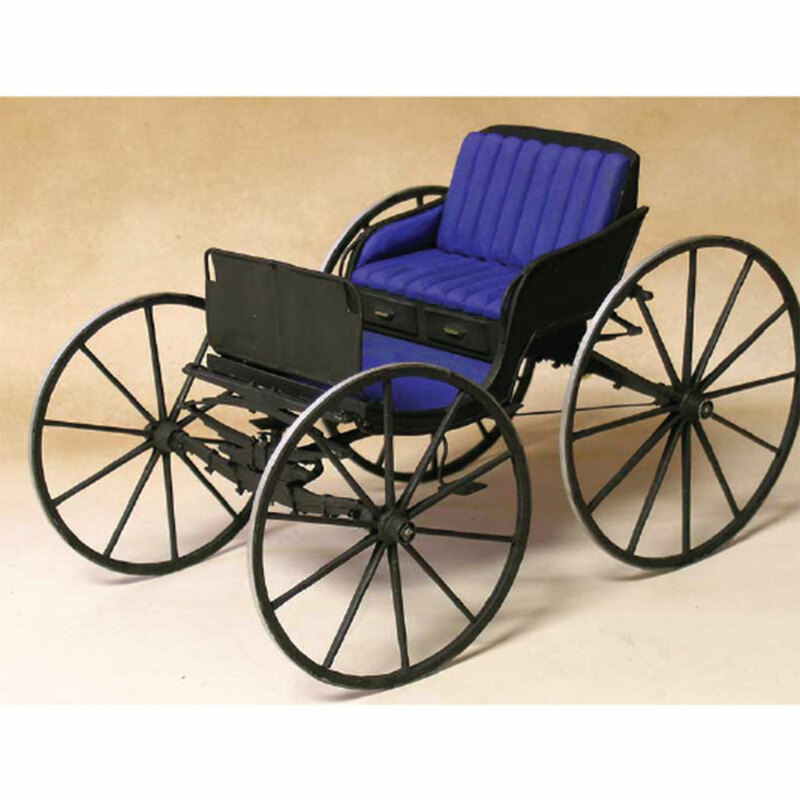 Most buggies had a folding leather top that could be raised in inclement weather. 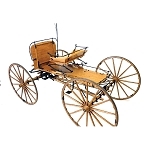 Our model replicates a phaeton type buggy. The design is based on a drawing in an 1884 trade journal plus many contemporary photographs. We have not included a top, as it would be very difficult to model at this small scale. We ve designed our kit for historical accuracy and easy assembly. Fine basswood and cherry parts are laser cut to eliminate tedious sanding and shaping. Perfectly machined aluminum hubs, wooden spokes and rims replicate the wheels. 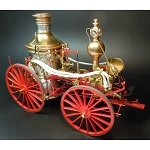 Photo-etched brass and cleanly cast Britannia metal parts add life-like detail. Three sheets of plans and illustrated instructions explain every stage of construction. This is described as suitable for moderately experienced builders, but I would add that the experience should be with Model Trailways kits. I found the parts supplied to be impressive but the instructions are lacking in many ways. The kit is unforgiving with mistakes but the instructions will invite mistakes. I have not finished the assembly yet and I am not sure I will be able to after my errors have become critical. As Model Trailways does not have a kit suitable for first-time builders, this is the best to start with, I suppose. If you can get it at a reduced price and want to use it as a learning tool, this is not a bad choice. I'm tempted to buy another kit while on sale, but given the cost of the first, I'm a bit hesitant. I'd hoped to present the model to someone but the one I am working on is not going to be suitable. I am disappointed but see that it is the price of starting on such vehicles.